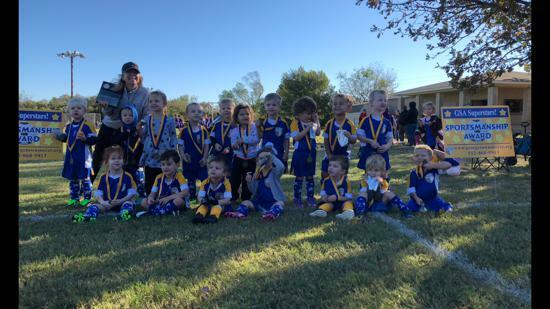 GSA Rec U4 Super Stars Spring 2019! Super Star Registration is FULL. Please contact Jill Gardner to be placed on a wait-list. 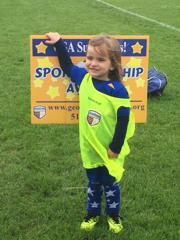 GSA Rec U4 Super Stars League!! 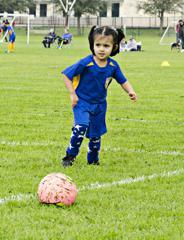 This is a beginner's learn-through-play program with FUN as the #1 priority! Players will practice and play on Saturday mornings only. Each Saturday session will consist of a US Soccer certified staff-led technical warm up of fun, interactive games that will motivate and encourage players while they learn basic soccer techniques. This warm-up will be followed by small sided games consisting of teams playing in a 3v3 format (no goal keepers). Each game will be monitored by a parent volunteer coach, with the support of all other parents cheering on the sidelines. 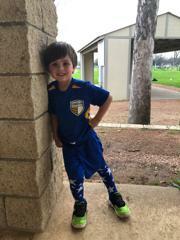 All GSA Super Stars are required to bring a size #3 ball, cleats, shin guards and a SMILE to each Saturday session! Cost: $60, includes Super Star T-Shirt, Shorts and Super Star Socks! Super Star Players will receive a participation medal at the end of their season! Contact Jill Gardner, Asst DOC of Rec Soccer, with any questions.